is the threshold for destitution for a single working-age adult. The poverty measure typically used in this report is being in a household with an income below 60% of the median. This is adjusted for household size and is after taxes such as income tax and Council Tax. The table below puts these poverty thresholds in the context of similar concepts. For example, a working-age couple with an income below £288 a week before removing housing costs (or £248 after) is considered to be in poverty. On an annual basis, this is equivalent to around £14,980 for this family type before housing costs (BHC), or £12,890 after housing costs (AHC). 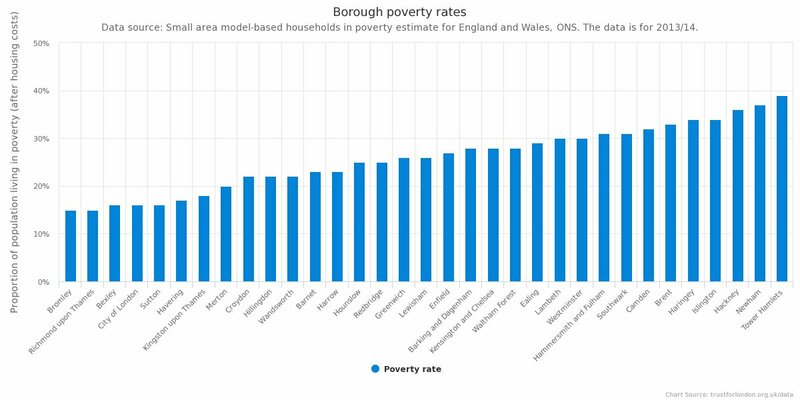 However, when members of the public are asked what income is needed to have a socially acceptable minimum standard of living (MIS – Minimum Income Standard – a different concept to poverty), the values are quite a bit higher: £351 a week in Inner London after housing costs, and £379 in Outer London. The gap between the poverty line (which is the highest income someone can have but still be in poverty) and the amount the public think is the minimum to have a socially acceptable standard of living is large - as the graph above shows. The graph gives an idea of the extent to which having an income on or below the poverty line is insufficient for a socially acceptable standard of living. The difference is quite highly pronounced for couples with and without children, by more than £100 a week in both Inner and Outer London. The table below provides the specific current figures for different thresholds of low income. The table also includes the income level that would leave someone 'destitute'. This is a concept that has been developed relatively recently. It is defined as someone whose income is so low that they cannot afford basic food, shelter, heat or other items. 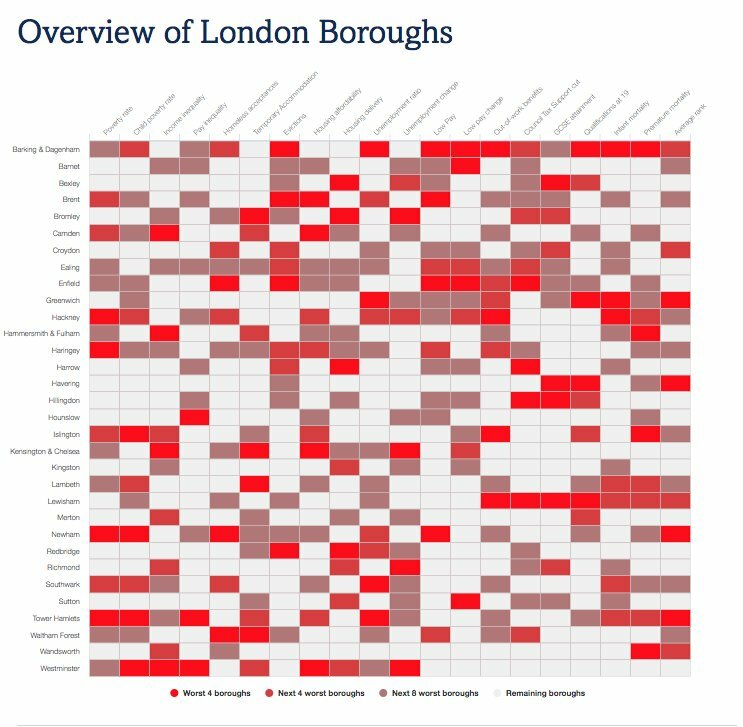 There is no London-specific figure, though the research suggests a higher prevalence of destitution in the capital.